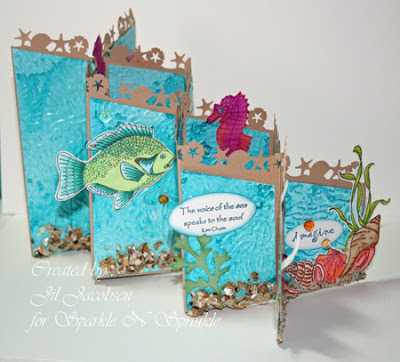 Here is the other cascading card I've been working on! I'm real happy with the way it came out. In the Sparkle N Sprinkle store we are now selling the Me & Carrie Lou stamps, so that is what I used on the card. I colored with Copics and added glitter. The bottom portions have Mudd Puddles on them. 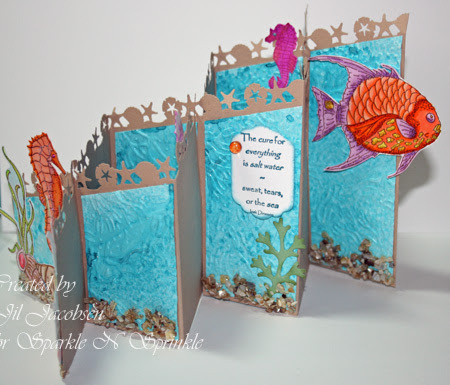 For the background I used the Memories Mists and glossy cardstock. 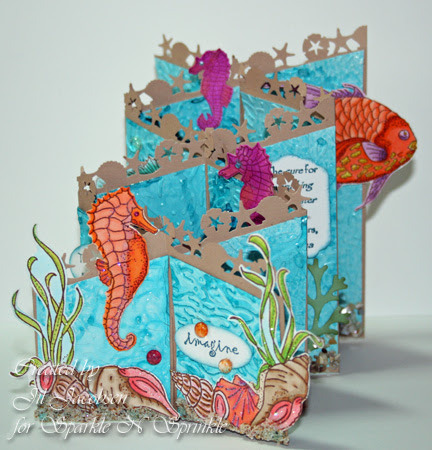 When I was done I ran it through the Spellbinders Sea Beauty Embossing Folder. The border punch on the base is an old retired Martha Stewart. 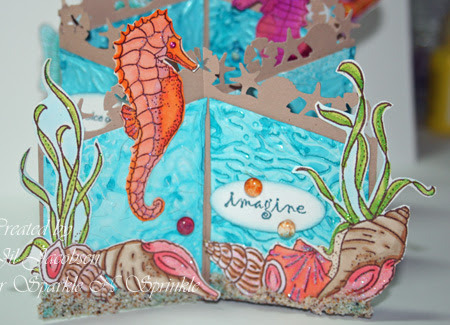 The verses are from Sparkle N Sprinkle's Ocean Treasures stamp set and embossed with Mediterranean EP. The two back smaller seahorses are from The Sea. Hope you enjoy some stamping time soon! Thanks for stopping by.